Training for a half-marathon has increased my appetite SIGNIFICANTLY. I find myself thinking about food constantly. I’m not even sure if I’m truly hungry, but I want to eat all…..the……time. When I finish my workouts, especially long runs and speed workouts, I come home and just want to devour all of the food in the house. Here’s the problem: I’ve increased the miles that I’m running, thus burning more calories; however, I’m continuing to eat the same type of foods and portions that I’m used to eating. I have to get in the habit of packing more food for my snacks and lunch at work, and I think that I really need to pay attention to how much protein and carbs I’m getting. I also find myself craving desserts more than usual, so I need to find some healthy dessert recipes. I skipped my run last night, but tonight I’m planning on a 3-mile run when I get home from work. Tomorrow my husband and I are going hiking, and then a 9-mile run is on the half-marathon training program for Sunday! Lots of calories will be burned this weekend, so I need to fuel my body properly! Sounds like a great, activity-filled weekend! Those are always my favorite 🙂 Try a banana with almond butter… I love that as an energy-boosting midday snack! Chris, a banana with peanut butter and strawberry preserves is my favorite pre-run snack! I usually put golden raisins on it, but strawberry preserves sounds delicious too. I’ll have to try that next time! 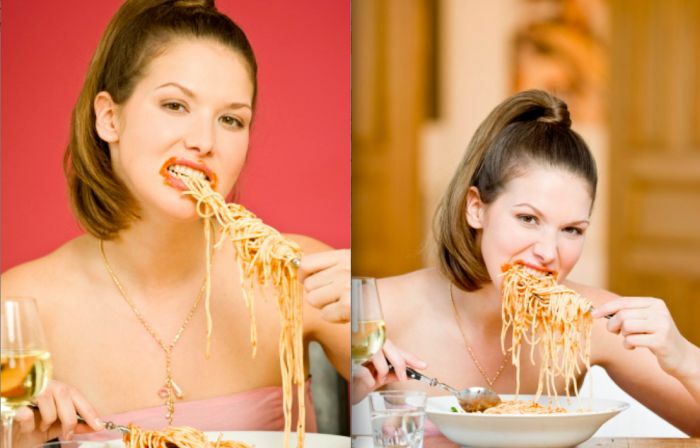 Ha – those pictures are perfect for describing appetites while running. A while back my partner & I were training for a half, and once we ate basically a loaf of bread while waiting for our pasta to cook, and then ate mucho pasta. Total overkill, but we were constantly snacking all the time. You’ll need it for those higher mile runs, though – best of luck on the 9!